When was the last time you received a handwritten letter on quality stationery? The look and feel of a handwritten note is incomparable and deeply personal. Paper stands the test of time. When was the last time you received a handwritten letter on quality stationery? The look and feel of a handwritten note is incomparable and deeply personal. Compared to e-mail, e-vites, and everything else electronic, paper stands the test of time. When mail is sorted in my home, anything hand addressed is opened first. We can thank the ancient Chinese for the invention of paper. The oldest record of its creation dates to around A.D. 105, when a court official of the Han Dynasty made a sheet of paper using old rags and other fibrous materials. The use of paper spread to the Islamic world, and it was first produced in Europe in the early twelfth century. This ushered in a new era of communication and prompted the growth of literacy. A stationery wardrobe is important for both the seasoned executive, newcomers to the world of business, and social correspondence. Like clothing, a stationery wardrobe should reflect your personality and include foundation pieces appropriate for all occasions. Correspondence Cards. According to Linda Burns of Burns & Associates Fine Printing in San Francisco, "Correspondence cards are the most versatile part of the wardrobe, like a good pair of blue jeans. Use them for thank-you notes, condolence notes, congratulations, and noteworthy events." Usually 4 by 6 inches, these cards are normally printed or engraved with your full name or monogram. The traditional colors are white and ecru, but you can also find them in other colors. They should be handwritten on only one side, with your address printed on the back envelope flap. Correspondence Sheets. These smaller sheets (such as 6 1/4 by 8 1/2) are for more personal letters and notes. Like correspondence cards, they are printed with your name or name and address. Traditionally, the paper should 100 percent cotton with a watermark, in either white, ecru, or gray, but it is perfectly acceptable to use paper in a wide range of colors and weights. If you need more than one sheet, use a blank one for the second page, as only the front side of a sheet should contain handwriting. Fold-Over Notes. This type of note card, also known as an "informal," usually has some kind of monogram or art on the front. The handwriting goes on the bottom inside of the card. If you need more space to continue, do so on the top inside of the card rather than the back, so the entire note can be read upon opening. These types of notes are traditionally used for wedding gifts and thank-you notes. Calling Cards. Calling cards are similar in size to business cards, except that they may contain only your name and phone number, website, and e-mail address. These cards are given to social acquaintances. If you prefer to be reached through your business association, a business card is used instead. With Social Media the trend, how about a Social Networking card? Correspondence Cards. A basic card in ecru or white is essential for the businessman or woman. Black, brown, or navy blue ink is impressive; use an easy-to-read typeface such as Times New Roman or the more modern Helvetica font. Sheets. Business sheets should be of quality paper stock in either ecru or white. The standard letterhead size is 8 1/2 by 11.
Business Cards. Business cards are a way to distinguish yourself from the competition. Set yourself apart with engraved or thermographed heavy card stock. The most common colors are ecru or white. Engraving. Engraving is traditional raised printing and the quality is second to none. To engrave an image, it must first be etched onto a copper plate for the die to receive the ink which raises the design off the paper. This printing method is most common for monograms, letterheads, and business cards. Thermography. A less expensive alternative to engraving, thermography is a raised-print machine process used for letterheads, social stationery, and business cards. Letterpress. 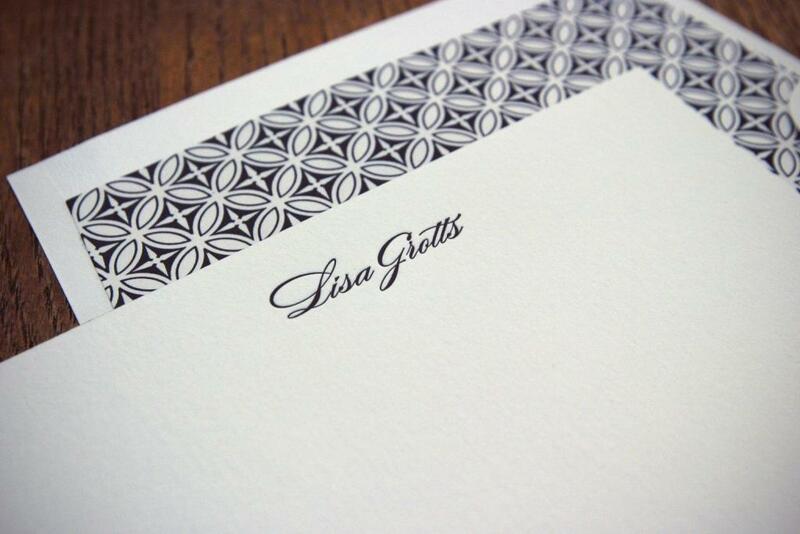 Letterpress is most often used for calling cards, thank-you notes, and letterheads for social stationery. President and founder, Trish Kinsella of Dauphine Press says "Letterpress printing is a centuries-old relief printing process. Our designs are created on a computer which are made into photopolymer plates through a photographic process. All type and images are raised up on the plate and form the printed image area, while the recessed areas surrounding the design do not print. The ink from the printing press is applied to these raised areas of the plate, which is then pressed into the paper, giving an unmistakable impression in the paper, and a vivid, three-dimensional appearance." The E-Stationery Alternative. There's nothing like a handwritten note, especially when the writing instrument is a good fountain pen. But there are times when an e-vite or e-stationery may be necessary, as when a friend in San Francisco is hosting a party in Shanghai. A company like Paperless Post (www.PaperlessPost.com ) offers the solution. This site allows the customer to design and send custom invitations and announcements that have the look of quality, even though they're online. Ashley Hobbs of Paperless Post weighs in on their unique product. "We offer a thoroughly modern take on chic correspondence. 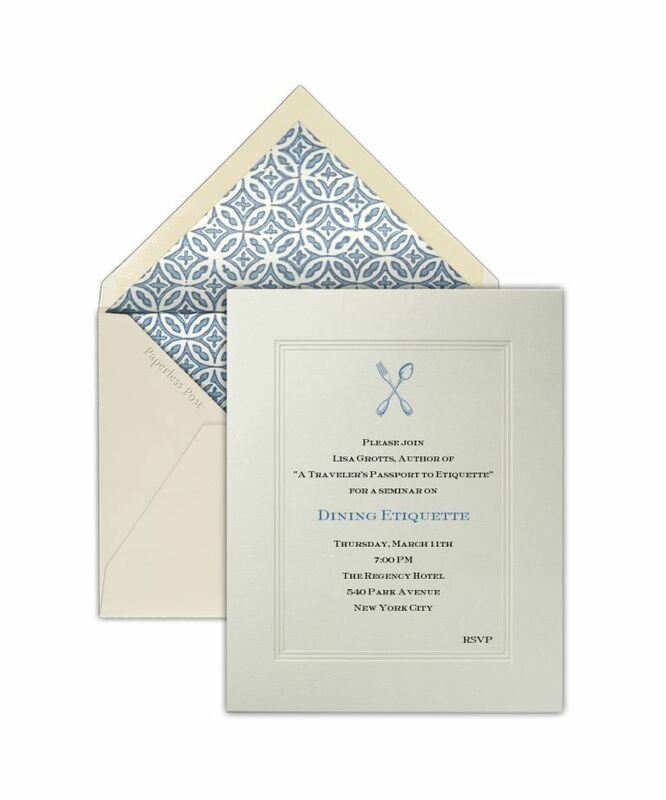 The site allows you to design and send custom personalized invitations, announcements and, very soon, stationery with personalized monograms." Thank-you notes are a necessary part of life. They are used to acknowledge everything from a meal to gifts and special favors. After a gift of any kind has been received, it's nice to say thank you both by note and telephone. Tiffany & Co. sums it up this way: "All good guests write thank-you notes. Very good guests also call the next day." Write thank-you notes promptly, ideally within a day or two of the event or gift. They don't have to be long; three sentences are perfectly acceptable. What's important is content, not length. Mention something nice about the gift to make the sender feel special ("Thank you for remembering how much I love Wedgwood china," or "Thank you for thinking of me on your trip to France.") Don't ever mention anything negative about the gift (wrong size, wrong color, etc.). We can all take a page from Jacqueline Kennedy. Her social secretary, Letitia Baldrige said about this First Lady: "She changed the White House from a plastic to a crystal bowl." Think of this the next time you make a stationery purchase. Keep it simple yet elegant. Lisa Mira Grotts is a recognized etiquette expert and the author of A Traveler's Passport to Etiquette. She is a former director of protocol for the City & County of San Francisco and the founder of The AML Group, certified etiquette and protocol consultants. Her clients range from Cornell University and Microsoft to Nordstrom and KPMG. She has been quoted by The Sunday Times, the San Francisco Business Journal, the Los Angeles Times, and USA Today. She has appeared on various radio and television stations, such as ABC, CBS, and Fox News. 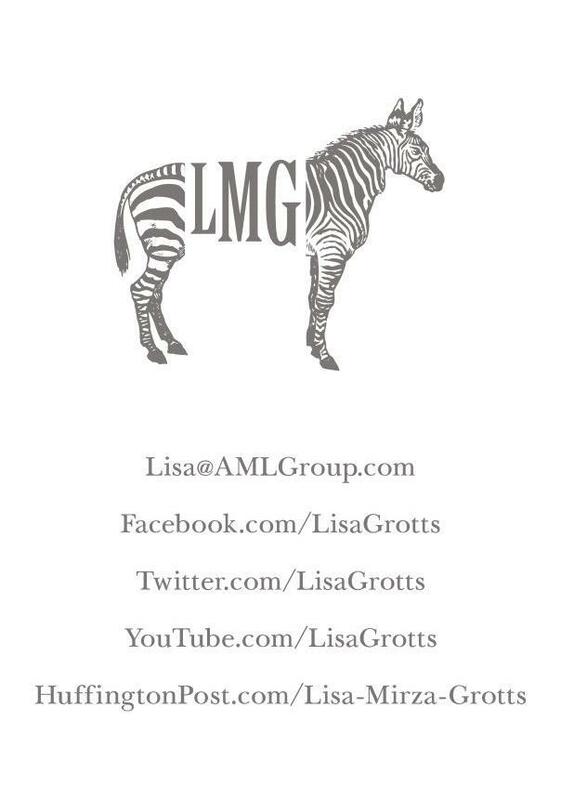 To learn more about Lisa, follow her on www.Twitter.com/LisaGrotts and http://www.Facebook.com/LisaGrotts.